If you are looking for a dental practice that will be able to provide you with a complete range of dental services, then you will want to become a member of our Londonderry Family Dentistry practice. At our dental office, patients are able to receive just about any type of general or specialized dental care that they may need. Our dentist in Londonderry, Dr. Jana Trnovsky, always places the safety and comfort of our patients on the top of her list for excellent patient care; for this reason we are also happy to be able to offer sedation dentistry services. When you get dental treatment at our office, you can be sure that it will not only be excellent in terms of dental treatment, but that it will also be aesthetically pleasing. The cornerstones of our dental practice are compassion and integrity. Our office is state-of-the-art in terms of technology and techniques used. At our practice we specialize in preventive, cosmetic, restorative, and implant dentistry. Our dentist in Londonderry is able to provide you with a wide range of dental services, so you will not need to seek out specialists in other areas for exemplary dental care. 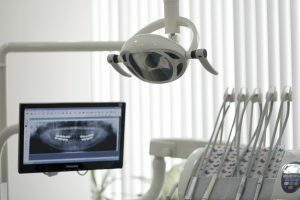 Among the services that we commonly provide are: comprehensive dental exams; porcelain veneers; teeth whitening; porcelain crowns services; pediatric dentistry; early orthodontic treatment; root canal therapy; tooth extractions; sedation dentistry; implant restoration; treatment of dental emergencies; night guards; appliances to prevent sleep apnea symptoms; snoring appliances; treatment with Invisalign invisible braces; and oral cancer screenings. If it is determined that you have gingivitis, a precursor to gum disease, our dentist most likely recommend that you have several dental cleanings over the coming months to help your gums get back on the road to good health. If it is determined that you have mild to moderate gum disease, our dentist will be able to provide you with a periodontal treatment of scaling and root planing. This treatment is like a deep cleaning for the gums. When your mouth develops deep pockets between the teeth and gums, tarter, plaque, bacteria, and food free will all gather in these pockets and infection will form. With a scaling and root planing treatment, all of these harmful materials will be removed from the deep pockets, including infection; then your gums will most likely be able to return to good health. Sometimes repeated scaling and root planing treatments are needed for a full recovery. In the most serious cases, gum surgery may be needed. For an appointment to meet with our dentist in Londonderry, contact us today.